Bold is a lot of things to a lot of people. 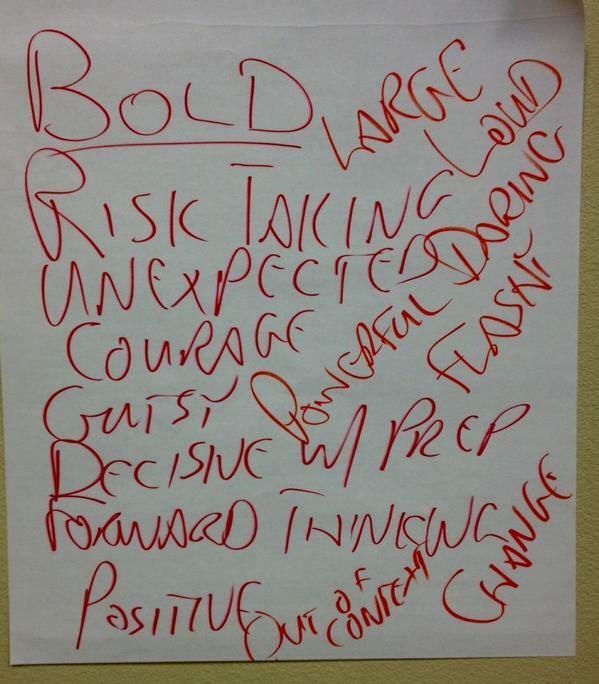 At a session I recently led on boldHR atHRevolution, the participants defined bold as: risk taking, unexpected, courage, gutsy, decisive with preparation, forward thinking, positive, out of context, change, flashy, powerful, large, and loud. One participant quoted Robert Greene, pointing out “Everyone admires the bold and no one honors the timid.” That line resonated deeply for me because there are so many people who want to have an impact, who want to do meaningful work (doesanyone want to do work that doesn’t matter, work no one cares about?). Yet, too often we try to make a difference while playing safe and that rarely happens. No statue has ever been erected, no biography written, no career celebrated about the person who was just another anonymous face blending into the crowd. The field of HR is at a crossroads. There is much discussion about dislocating, redefining, and overhauling what HR is and does. 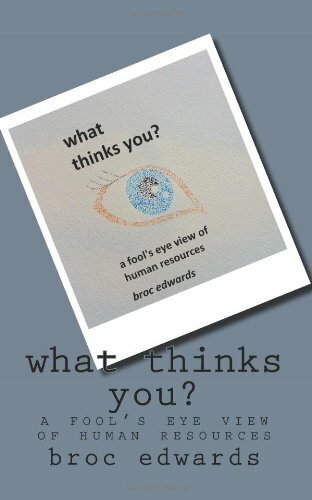 I think these are crucial conversations and I jump into every one I can, but they often fail to account for a crucial paradox: to the individual just trying to get a job done, revolutionizing an entire field seems impossibly overwhelming, but the field will never move forward and improve until individuals more forward and improve. No one individual can do it, but nothing will happen until individuals make things happen. That’s where boldHR matters. No matter who we are, no matter where we are, no matter job title or career stage, we can all be even more bold. Whether you’re a senior VP of HR who wants to completely reinvent the HR function at your organization or you’re just starting out in your career and trying to learn the fundamentals you can be bold. You can be the person who makes things happen and gets things done, you can be the person who “steps into the conversation” (as one participant put it – I love that! ), who doesn’t wait for permission, who is open and sharing, who attaches your work to the business needs, and who simply chooses to “get uncomfortable” in order to get things done. This is not simply my opinion, these are the words and ideas of participants. The beauty of boldHR is it recognizes there is no one-size-fits-all. What might be an insane leap past the outer comfort zones for one person might be a slow day at the office for another. Rather than prescribing what everyone should do to be bold,boldHR looks to the individual to determine how boldness will show up in their life. What do you really want to do in your job but keep putting off because you’re too busy? What are you hesitating about asking for permission to do because you don’t want to be told “no”? What do you want to be remembered for at your company or in your career? What additional decisions or actions are necessary to make that happen? What do you need to say “no” to that would make a huge difference in your job? Pick any one of your answers and decide on doing the smallest action that will make it possible. Even if it’s just a phone call, email, or quick conversation, do that one action. Then do it again. Then add another action. Keep going. You don’t have to reinvent the field and you don’t have to change who you are. Keep doing what you do, just do it a little bigger, a little better, a little bolder. What are your thoughts? Where can the field of HR be bolder? Where do you want to be bolder in your own job or career?